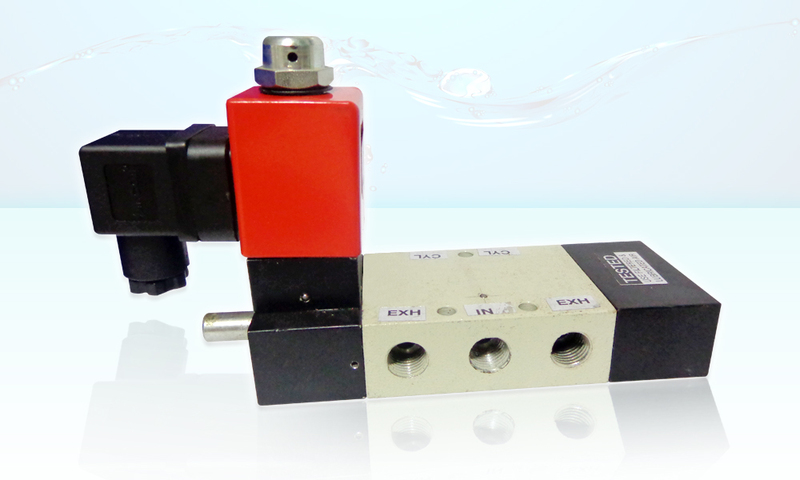 ECHPI Pneumatics is manufacturing 3 way and 4 way Spool Type of solenoid Valves. 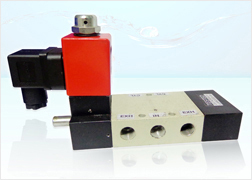 And pneumatic solenoid valve is a switch for routing air to any pneumatic device, usually an actuator, allowing a relatively small signal to control a large device. It is also the interface between electronic controllers and pneumatic systems. Type 3 way and 4 way Spool Type solenoid Valves. Data Epoxy Mounded, Water Proof, Continuous Duty Coils, 6 to 230 V AC, 12 V DC to 24 V DC & 9.5 Watts.